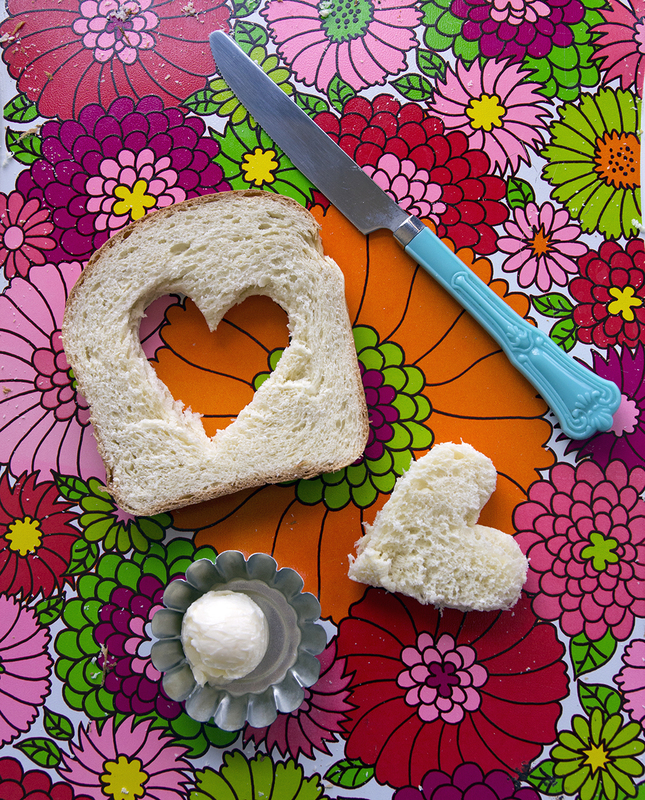 A rich white bread - perfect to accompany a meal, to serve toasted for breakfast or to use for French toast. In large mixing bowl, combine 3 cups flour, yeast, sugar, and salt; mix well. In saucepan or microwave-safe bowl, heat milk, water, and butter until very warm (120º to 130ºF; butter does not need to melt). Add to flour mixture. Add eggs. Blend at low speed until moistened; beat 3 minutes at medium speed. By hand, gradually stir in enough remaining flour to make a firm dough. Knead on floured surface until smooth and elastic, 5 to 8 minutes. Place dough in lightly oiled bowl and turn to grease top. Cover; let rise until dough tests ripe, about 1½ hours. Punch down dough. Divide into 3 parts. On lightly floured surface, roll or pat each third into a 14 x 7- inch rectangle. Starting with shorter side, roll up tightly, pressing dough into roll with each turn. Pinch edges and ends to seal. Place in greased 8 x 4- inch bread pans. Cover; let rise in warm place until indentation remains after lightly touching, about 45 minutes. Preheat Oven to 375ºF. Bake at 375ºF for 25 to 30 minutes until golden brown. Remove from pans; cool. *You can substitute Instant (fast-rising) yeast in place of Active Dry Yeast. When using Instant Yeast, expect your dough to rise faster. Always let your dough rise until ripe. Visit our Lessons in Yeast & Baking for more information on baking. Recipe featured at Take A Megabite. What would be the procedure using active fresh yest? Use 2/3 of a 2-ounce fresh yeast cake. The liquid temperatures can be a bit cooler – shoot for 90-100 degrees F. Otherwise you can follow the rest of the directions as written. This recipe used to call for 3T of yeast and it is now reduced to 4 t. Which is the correct amount? This recipe is from our Centennial cookbook from the 1980’s. Two packages (or 4 1/2 teaspoons) of active dry yeast are called for in this recipe. I hope you will find this information helpful. What will texture of this bread from inside and outside? I need a bread recipe which has soft crust. Ideal to eat just bread and butter. There’s nothing quite like homemade bread with a nice smidge of butter! This recipe contains milk, which will yield a softer crumb. 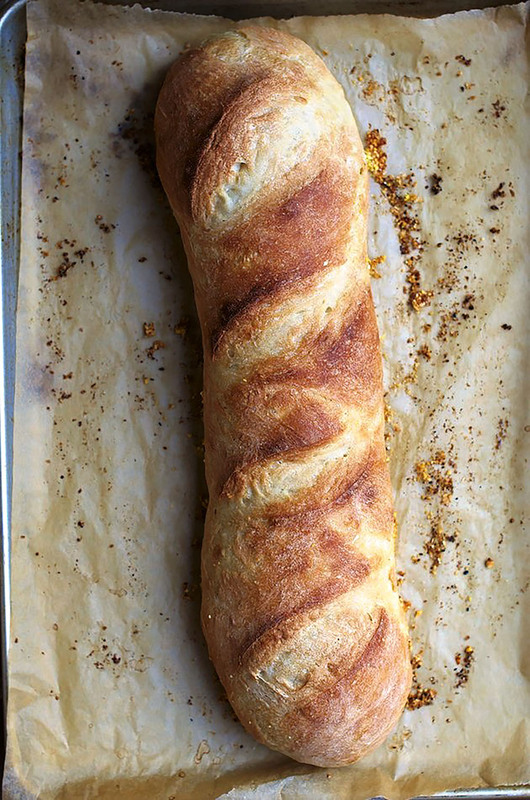 For a softer crust, I would suggest brushing with butter after the bread comes out of the oven. I love this bread recipe! I make it at least once a week for my family, and they really enjoy eating all of it. It is just a great full proof recipe. It is an absolutely delicious bread just they way it is or even better when toasted. I’ve used this recipe for over 25 years. In addition to making a fantastic slightly sweet bread, or dinner roll, or braid it is an excellent dough to use in cinnamon rolls. Use bread flour. You can substitute up to 50% of the white flour for whole wheat – add an extra packet of yeast.